Chop kraut and place it in a big pan. Pour kraut with water and boil. Then cool and wrung it out. Brown finely chopped bulb onion on the sunflower oil. Combine kraut with salt, pepper, nutmeg, and onion. Roll the dough, cut off the rounds. Place filling on each round, join the edges and paste them up. 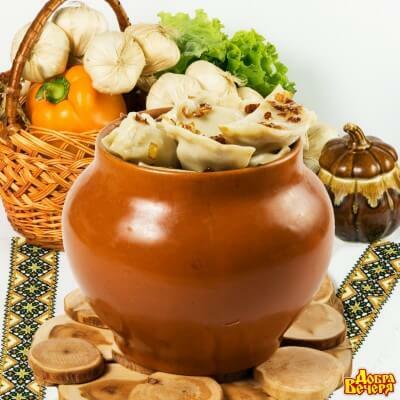 Pour varenyky in salty water and when they come to the surface – take out varenyky with colander. Pour them with melted butter and add some fried onion before serving.